Beauty and the Beads has been invited to many shows and events this holiday season. Check out our upcoming events page for all the places you can find us between now and Christmas! 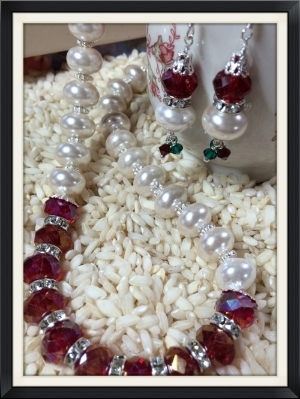 Check out this crystal and pearl necklace .... just right for holiday parties! Posted on November 4, 2015 by Carol McGarvey.